Decorations should always reflect the taste and enjoyment of the people who live in a location, and this is exceptionally true of musicians. This means that music note wall décor is perfect for people who enjoy or play music. 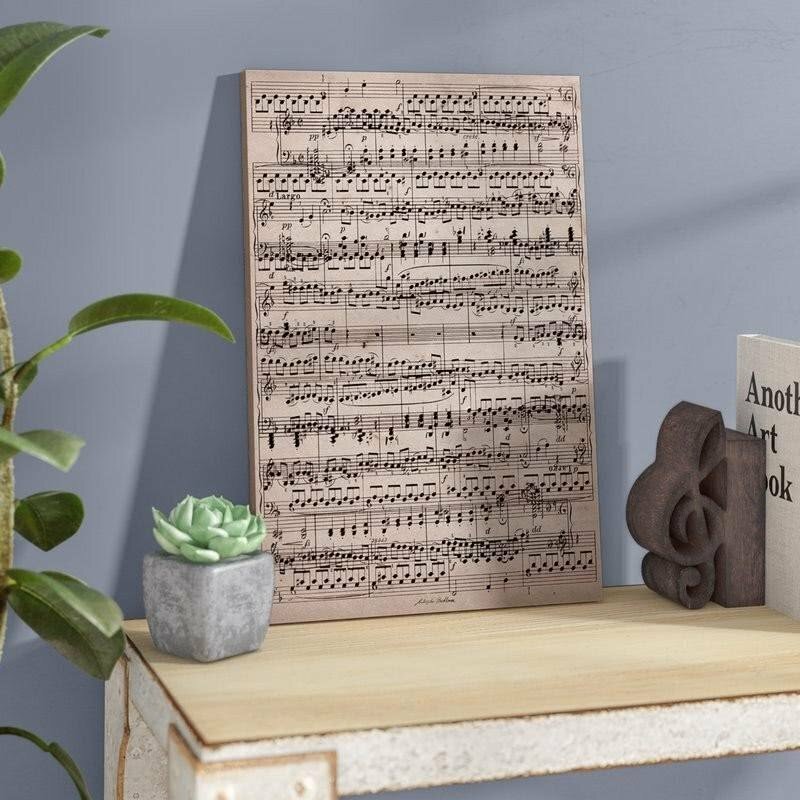 Decorative music notes, the word music, and much more help set the tenor of home decorating or even for wall art in music rooms or classrooms. Such decorations can come in many different forms: mobiles, three-dimensional metal art or even paintings. Word walls are a popular way to keep terminology in front of students as they learn. Music is like any other art or science (and it tends to partake of both) in that it has an extensive vocabulary used to describe the aural tones that we term music. A beautiful word, “music” decorated and created in a permanent art form can make a good heading for a music word wall. Writing down music in a standard notation format makes it possible for a violinist in Japan to pick up a composition written in Boston and play it on her instrument. The system has been centuries in the development, but steady progress in creating musical instruments that can be played by following notes, and musical notation that is sufficiently exact that it can be played by anyone who can read the sheet music, has made it possible to preserve music from one generation to the next. Small wonder then that music art should include examples of notes and musical notation. Music notes make lovely Christmas decorations, especially when personalized with the receiver’s name. Equally beautiful are paintings that focus on music, music notation and even pictures of musicians. Pictures painted on stretched canvas, metal sculpture, and word art make excellent decorations for any home, but especially for the home of someone who loves music. They can be excellent holiday gifts for musicians, music teachers and music students – but also for patrons of the art, even if they are unable to play a single on-key note, and just “know what they like”. Below are ten examples of musical art decorations. This modern art sheet music displaying the ode to joy is both daunting and uplifting. If you read music, you will quickly see the message. If you do not read music or if you are a beginner, the virtuoso display of triples, sixteenth notes and complex interweaving of treble and bass clefs can be both daunting and a challenge for the future. Keep time with floating numbers displayed on a treble clef. Alice argued with the Mad Hatter about beating time. He told her that she should not beat time, but should stay on good terms with it. The treble clef is black, the numbers are white, and so are the hands. A charming “note” when displayed against a pastel wall. The word “music” is nestled on top of a treble staff, an eighth note and two sixteenth notes. This charming combination is brought to you from Say It All On the Wall. Completely suitable to display against any light-colored wall, and an excellent decoration for music rooms anywhere – at home, at school, or in a professional venue. Head up your music word wall with this succinct, minimalist work “Music” in bold block letters. A treble clef hugs the left side of the M and a quarter note lurks inside the C. Place it at the top of a board and add music terms as students (or you) learn them. Also makes a good gift for a dedicated music student. This charming wall clock from Ashton Sutton begins with an anomalous musical instrument that is interwoven with a treble staff warped into the shape of a treble clef. A dance director’s cane is leaned aslant the instrument, and the black cavity of the sound box backs the red hands of the clock. No numbers are displayed, so users must know their clock hour positions. Make the day of any musician, music teacher or music lover with this metal sixteenth note, painted with metallic red and black high gloss finish that shimmers and change has changing shadows. Item comes from 7055 Inc, made in the USA, and comes with hidden tabs for hanging. The steel note sculpture weighs one pound. Dress up your Christmas tree with a double sixteen note Christmas decoration made from resin. A white banner, decorated with holly, is draped across the notes, perfect for personalizing the ornament. The decoration is part of the “Personalized by Santa” collection. At three inches by three inches it is the perfect size for hanging on your tree or mantel. Black bass clef on a sepia tone background decorated with the bass staff and Latin script. This lovely print is created using giclee technology, which is reproducing fine art or photography using a high-quality inkjet printer. The term was coined in 1991 by printmaker Jack Duganne. This work comes from Ashton Wall Décor LLC. A three-piece graphic art on canvas is an attractive way to decorate a music studio, classroom or even a wall in the home of a music lover. The brightly colored canvases, each displaying a music symbol, are painted on stretched canvas with oil paint and has been given a UV treatment - a process that helps keep linseed oil from yellowing.